« What is a MEMS Accelerometer? MEMS is an acronym for Micro ElectroMechanical Systems. These techniques employ nanoparticle technology to create delicate electronic circuits and other mechanical devices that can be manufactured onto a silicon microchip in much the same way that integrated circuits are made. MEMS technology allows for the construction of high-tech items like extremely tiny sensor chips whose electronics are built-in rather than adhered separately; such chips had been produced before, but at a far greater cost and a far larger size. The newer MEMS chips are both tiny and more cost-effective. MEMS accelerator chips that can sense when a vehicle has been in a collision, determine how severe the accident was, and deploy the vehicle’s airbags at a speed and size that correlate with this information. “Smart” airbags could save lives, since both too little and too many airbags have been known to cause death in accident situations. MEMS mirror chips that are manufactured into projection screen TV’s. This new type of television technology has the potential to revolutionize the way we view visual media, as well as boost market profits considerably for all associated sectors of the economy. MEMS inkjet nozzles. These high-tech printer components not only consume far less power than traditional nozzles, making them more cost-effective, but they also are the industry’s fastest. With these nozzles in place, printers can achieve speeds of 15 lines a second when printing onto rolled paper and three pages a minute when using loose sheets. Medical MEMS pressure sensors. These ultra-sensitive pressure readers can be used for a wide variety of medical procedures, but one of them has been the development of a more effective and less bulky pacemaker. A computer game controller that uses MEMS technology. Video game companies are hoping that they can use MEMS to enhance the gaming experience. In much the same way that the Nintendo Wii controllers made all previous controllers obsolete with their motion-sensing technology, the new controllers will be even more hands-free and body-motion sensing. A MEMS gyroscope that can be programmed to incorporate customized features so that gyroscopes can be integrated with industrial equipment in a more cost-effective manner. By using only the functions that they need, companies can reduce their gyroscope-related operational costs significantly. Microphones that use MEMS technology in order to function. These microphones are not only smaller and more effective than traditional microphones, they are also more cost-effective to produce and longer-lasting. They are even more heat-resistant than conventional models, so that using them for a long time isn’t a problem because they won’t get overheated or develop heat-related issues. MEMS RF switches. These devices are part of what makes your microwave function, and when upgraded with MEMS technology they can render microwaves more cost-efficient and energy-efficient by reducing power loss in microwave applications. MEMS Blood pressure device. This super-powered sensor can read every little detail about your blood pressure, and best of all it can be implanted in patients to provide constant, 24-hour surveillance. This is especially useful for those in critical condition who require such delicate care. The MEMS device has strong wireless information transfer capabilities, which is what allows it to be directly implanted in the patient’s body in the first place. MEMS oscillators. Currently, most people in the industry use quartz oscillators. The MEMS version of this device is not only smaller and more effective, but also can integrate better with the electronics circuits that oscillators typically interact with. 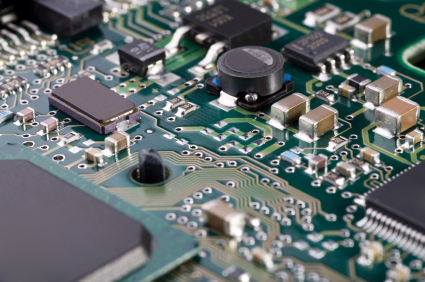 MEMS technology has also revolutionized the way that electronics are manufactured. It is especially well suited for techniques like bulk micromachining, where micro-mechanical structures using nothing but the thickness of a wafer of silicon. Micro-process etching is used to machine the silicon chip, after which glass plates or other chips are added using anodic bonding. MEMS can also be used in surface micromachining and high aspect ratio, or HAR micromachining. Every up-and-coming business in the technological industry has a strong MEMs research and development program. Large firms tend to specialize in high volume small parts manufacturing or creating packaged solutions for what are known as “end markets,” which include the biomedical industry, automobiles, and electronics. Smaller firms offer innovative solutions and generate high profit margins through sales in order to pay for the custom manufacturing. But no matter their size, all firms provide intensive research and development to explore the further commercial possibilities of MEMS products. R&D is perhaps the most lucrative area associated with MEMS to date, since most of its applications have yet to be discovered. Engineering software has been developed that allows MEMS researchers to take products from concept to completion and also provides prototyping and testing applications along the way. MEMS design often employs what is known as finite element analysis. Some software programs even allow researchers to test the potential effects of heat, dynamics, and electrical connections on their particular MEMS product. Once prototypes have been developed, they can be put through their paces using tools such as microscopes, stroboscopes, and laser Doppler scanning vibrometers. All of this work pays off in the market. It is estimated that the global micro-electromechanical systems industry, whose mainstays tend to be airbag systems, inkjet cartridges and display systems, raked in a total of $40 billion in 2006 alone. By 2008 this figure had skyrocketed to $6.9 billion, and numbers continue to rise. Contrast this with the $1 billion in total production costs expended by the MEMS manufacturers, and you have staggering profit margins in the lucrative new MEMS commercial arena. This entry was posted on August 29, 2009, 2:24 pm and is filed under mems. You can follow any responses to this entry through RSS 2.0. You can leave a response, or trackback from your own site.